What exactly is compassion? Put simply, compassion is the ‘recognition’ of another’s suffering and a desire to alleviate that suffering. Compassion is often dismissed as a religious term and therefore increasingly irrelevant in a modern secular society. However, rigorous empirical data increasingly supports the view of all major world religions that compassion is good for us all. There is now a science developing around compassion, which is clearly indicating its relevance to each one of us, regardless of one’s religion, social standing, culture, education and experience. Our poverty in the West is not that of the wallet but rather that of social connectedness. In this modern world where often both parents work, we are spending less time as a family and people are living farther away from extended families, we are as a result more disconnected than ever before as suggested by Robert Putnam in his ground-breaking book ‘Bowling Alone’. Putnam draws on evidence including nearly 500,000 interviews over the last quarter century to show that we thrive under conditions of social connection but that trust and levels of community engagement are on the decline. Putnam also illustrates how changes in work, family structure, age, suburban life, television, computers, and other factors have contributed to this decline. As a consequence, loneliness is on the rise and is one of the leading reasons people are seeking counselling and treatment for anxiety and depression. One particularly quite telling survey, carried out by Duke University over two decades showed that 25% of Americans have no one that they feel close enough to, to share a problem with. That means that about one in four people that you meet has no one to talk to and it is affecting their health. Steve Cole from UCLA, a social neurogenetics scientist, has shown that loneliness leads to a less healthy immune stress profile at the level of the gene and with those affected in this way, their gene expression makes them more vulnerable to inflammatory processes, which have been clearly shown to have negative effects on health. This is consistent with the latest findings in psychoneuroimmunology (see the work of Professor Andrew Steptoe) and epigenetics (see: The Epigentics Revolution by Nessa Carey). Research by expert well-being psychologists Ed Diener and Martin Seligman indicates that social connectedness is a predictor of longer life, faster recovery from disease, higher levels of happiness and well-being, and a greater sense of purpose and meaning. One large-scale study published in Science (one of the world’s leading journals for original scientific research) showed that a lack of social connectedness predicts vulnerability to disease and death above and beyond traditional risk factors such as smoking, blood pressure, obesity and lack of physical activity. So isolation is a critical factor in the disease process – and in many cases compassion is the antidote. While many pay attention to their diet and go to the gym regularly to improve their health, they don’t think of social connectedness as being just as important to their health. Just like physical fitness, compassion can be cultivated and maintained. Dr. Chuck Raison and his colleagues at Emory University in Atlanta have demonstrated that a regular compassion meditation practice reduces negative neuroendocrine, inflammatory and behavioural responses to psychosocial stress. In fact Dr Raison, has extended his research and use of compassion meditation to include a range of psychological and physiological problems, such as: exploring its impact on breast cancer, looking at the benefits for those who are or have been in care, as well as exploring the benefits for those suffering from post-traumatic stress disorder (PTSD). His work clearly demonstrates that compassion is a healing agent and further scientific exploration in this area is not only merited but is essential. We need to understand the power of human contact and probably more than that to understand that it is the nature of that contact that holds the key to our own enrichment and the enrichment of others. Exercising compassion not only strengthens one’s compassion but brings countless benefits to oneself and others. Professor Paul Gilbert, Founder and president of the Compassionate Mind Foundation in the UK , and others, have shown that, not only are we the recipient of compassion’s benefits but others are inspired when they see compassionate actions and in turn become more likely to be compassionate in what becomes a positive feedback loop – a virtuous cycle (see: virtues travel in pairs). As human beings, we will inevitably encounter suffering at some point in our lives. However, we also have evolved very specific social mechanisms to relieve that pain: altruism and compassion. It is not just receiving compassion that relieves our pain. Stephanie Brown, professor at Stony Brook University and the University of Michigan, has shown that the act of experiencing compassion and helping others actually leads to tremendous mental and physical well-being for us as well. While survival of the fittest may lead to short-term gain, research clearly shows it is survival of the kindest that leads to the long-term survival of a species. It is our ability to stand together as a group, to support each other, to help each other, to communicate for mutual understanding, and to co-operate, that has taken our species this far. Compassion is a survival instinct. Recent research shows that even animals such as rats and monkeys will go to tremendous effort and personal cost to help out another of its species who is suffering. We human beings are equally, maybe even more inclined to act in this way as we are instinctively compassionate – our brains are wired for compassion. Probably more than ever our world is crying out for compassion. Literally over half the world is suffering from poverty in all its forms, the ravages of disease, the hardship of food shortages due to a lack of economic and political will and probably worse than that there is that suffering caused by man’s inhumanity to man, a simple lack of kindness, which means there is perpetual war and conflict and unnecessary suffering. We can see the tragedies of the world and simply feel disempowered – what can I do anyway!? The truth is we can all do something – however small there is something we can contribute to make this world a kinder, more caring place. So don’t think you have to jump on a plane, to ‘go somewhere’, to make a contribution. You may be in the position to do that and want to… and of course that’s fine. However most of us are not going to be able to jump on a plane and try to change the world but we can change the world from exactly where we’re sitting or standing. Throughout this item we have seen how a lot of research in both America and Europe is telling us that compassion is good for the soul. What we therefore need to do is become obsessive about compassion. Don’t treat it as another subject you’ve become interested in because it’s topical in the research papers and the media. Don’t let it be a fad, something short-lived in your life. It’s time to go much further and find ways to be actively compassionate (see: The Helpers High and Practise Kindness). 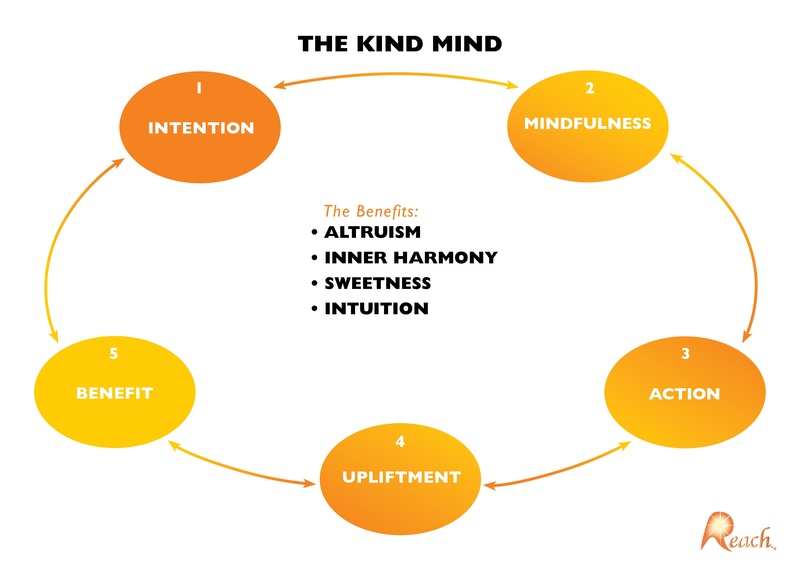 Below is one of our mind maps, as you can see this one is called The Kind Mind and it’s a simple visual summary of how we can make that journey towards compassion. Until we change the way we think, we are unlikely to change the way we act! We hope you’ll be inspired to make your mind more kind and therefore act in more compassion ways. 1. Intention – it is not the outward appearance of an action that matters, it is the intention behind it that tells us its true value. A kind mind always has the highest of intentions, it is not driven by ego nor does it seek personal recognition… “benefit for all” is its mantra. 2. 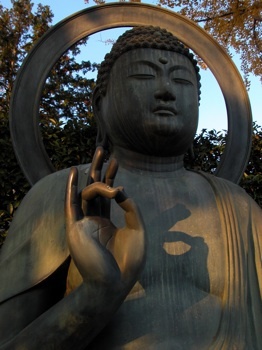 Mindfulness – a kind mind is aware of three things, itself, others and context. It operates from a position of sensitivity bearing these three things in mind. A kind mind is a generous and a just mind, which treads carefully on the planet and through the lives of others. 3. Action – the kind mind is thoughtful and reflective and so when it comes into action it seeks to cause no harm. It creates an atmosphere of peace, love and warmth wherever it goes. Such a mind realises the power and consequences of its actions so it always strives to act with its conscience intact. Where a mistake is made the kind mind always seeks to make amends. 4. Upliftment – kindness and compassion not only uplift the mind and spirit… they produce wonderful substances such as oxytocin, dopamine and a range of endorphins, all of which generate better physical health too. And so one is uplifted both in mind and body. When you are uplifted you can uplift those around you. 5. Benefit – the kind mind brings benefit to all, it acts for the greater good. If we could all understand the uplifting nature of kindness and spread its benefit far and wide, we would quickly create a world in which limitation and conflict would be replaced with liberation and peace. Why not make this your intention!